Here's a few shots of the installation - a nerve wracking experience but handled with great expertise, care and attention to detail by ng developments. 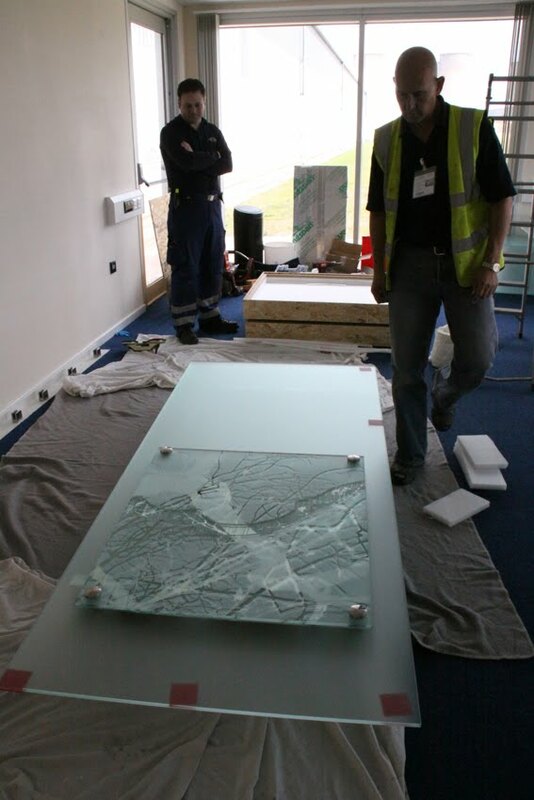 They also managed to manoeuvre the very very very heavy 2.5m high glass panels into place without even a flinch! Thanks chaps, we were very impressed! Each panel was crated for transportation. They were so heavy we had to rig up a roller system to move them around. 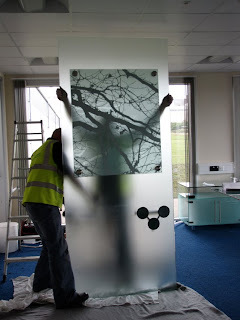 Then assembly and manoevring into position. Easy! I design and make glass for architectural settings creating visually stimulating work that responds to the nature of a space, becomes part of the fabric of an environment and, I hope, adds something to people’s everyday lives. 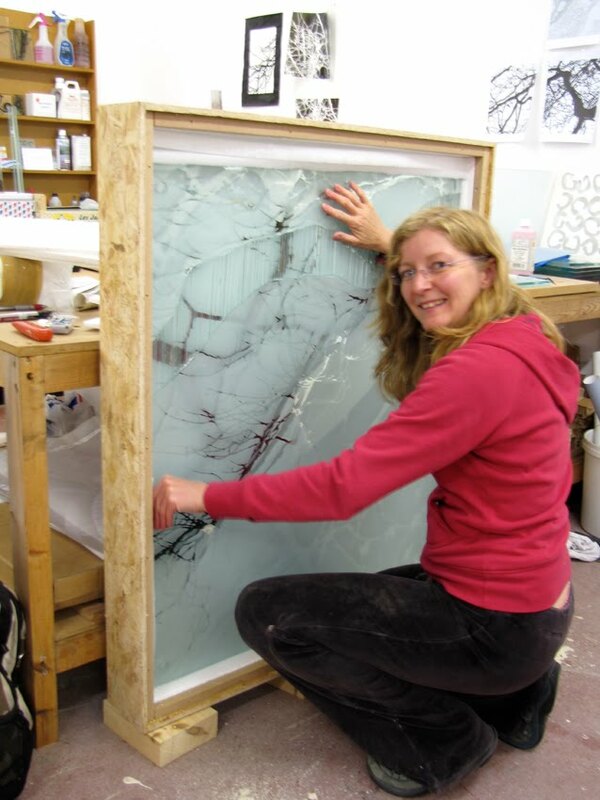 This blog - Art, Life and Architectural Glass is a documentation of my work as an artist specialising in architectural glass. It aims to show an up to date record of what I'm up to - projects I'm working on, things I'm thinking about, what I'm actually creating and how those things came about as well as interesting stuff I see, find, read, listen to or experience. It is intended to give some sort of background view of myself as an artist, showing the person and processes behind the artwork.